DIRECTV vs DISH Review 2019: Which Satellite TV is Better? Thinking of making the switch from cable to satellite? DIRECTV and DISH are your two options. But which TV provider is better for you? Both have their advantages and downsides. DISH doesn't have the NFL Sunday Ticket, but it does have the Hopper that instantly skips commercials. DIRECTV has the most sports programming; however, the price goes up significantly in the second year. In this review, we do an in-depth comparison of both TV providers. DISH vs DIRECTV: DISH is the best tv service provider for the money, but DIRECTV offers more HD channels. DIRECTV is also known for better sports packages. DISH is known for the better DVR that automatically skips commercials in selected primetime recordings. We'll explain more below. But first, let's highlight the current DISH and DIRECTV promotions. Package price guaranteed for 2 years. DISH offers TV packages with internet. Internet speeds and availability depends on location.more details. Month to month TV packages. Requires equipment purchase and prepayment of fees. Which TV provider is best? While DIRECTV excels with its sports bundles, DISH wins with its prices. Both services provide mobile apps and HD channels. If sports are important to you DIRECTV is a no brainer. If you watch a lot of common TV channels DISH could be better. They offer a 190 channel bundle for $59.99/mo paired with a two year price guarantee. Best channels: DIRECTV wins this battle. It offers nearly every channel you could want. It has exclusive rights to the NFL Sunday Ticket, as well as similar packages for the NBA, NHL, and Major League Baseball. It also has more on-demand movies and TV shows. Best DVR: The winner goes to DISH's Hopper 3. Its hard drive capacity is way more than DirectTV's unit. It can record up to 16 shows at the same time and can hold 500 hours of HD recordings (2,000 SD hours). DIRECTV's Genie can only do 5 recordings at once and store 200 HD hours (1,000 SD hours). And plus - the Hopper is the only DVR on the market that automatically skips commercials. Best Pricing: Again, this round goes to DISH. DISH and DIRECTV both require a 2-year contract. But DISH has a 2-year guarantee, which locks you into the rate for a whole 24 months. But DIRECTV's intro pricing is only for the first year, and you'll be in for a sticker shock the second year. Which TV provider offers better HD Programming? Both providers have over 200+ HD channels. However, DIRECTV has more sports channels in HD. Both providers also cater to 4K. However, DIRECTV has dedicated 4K channels in their lineup. With DISH, only certain programs are in 4K picture quality. Keep in mind that DIRECTV has a $10 monthly charge for HD service. Overall, DIRECTV has better HD content. If HD is important to you, go with DIRECTV. 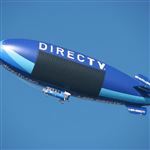 DIRECTV offers 7 different packages. Their pricing is a bit confusing. There is a $5/mo autopay credit that kicks in after 3 bills. The prices listed here are for the first year and second year costs, and reflect the $5/mo discount. DIRECTV Now ($35/month): This is DIRECTV's streaming only package. There are several packages, starting from $35/month to $70/month, and ranges from 60+ channels to 120+ channels. What is DIRECTV Now? DIRECTV Now is DIRECTV's version of the Playstation Vue and Sling TV, which is a streaming video service of live television and video on demand. It's a separate service from DIRECTV's satellite TV, and uses the internet to stream content. There is no contract, and no box/satellite/cable installations. Subscribers can watch it on any device which supports the app such as a Roku stick or browser, and pay month-to-month with the option of terminating at any time. Select ($35/$76): You get over 150+ popular channels. This includes all local channels, Disney Channel HD, Disney Junior HD, Discovery Family, TBS HD, Lifetime HD, Animal Planet HD, Comedy Central HD, and Food Network HD. This is good for those who don't watch sports. Entertainment ($40/$87): You get over 155+ channels. It adds some sports channels, including ESPN, Fox Sports 1, and NBC Sports Network. Choice ($45/$101): You get over 185 channels. The added channels include: ESPNews HD, Sports Mix HD, NFL Network HD, Travel Channel HD, and Nicktoons. Xtra ($55/$110): You get over 230 channels. Additional channels include: Fox Sports 2, CBS Sports Network HD, NHL Network HD, FX Movie, Oxygen HD, and MTV Classic. Ultimate ($60/$120): You get over 245 channels. This is basically everything except the premium movie channels. Premier ($110/$173): This is the granddaddy of TV packages, with over 325+ channels. You get HBO, Showtime, Starz, and Cinemax, as well as ESPN Classic, Comcast Sports Network, and Fox Sports Sun HD. America's Top 120 ($59.99/mo): You get 190 channels, including USA, CMT, Disney Channel, ESPN, E!, and Local Channels (CBS, ABC, NBC, FOX, and CW). America's Top 120 Plus ($69.99): You get over 190 channels, including NFL Network and Regional Sports. America's Top 200 ($79.99): You get over 240 channels. At this level, you get more of the premium channels, including Animal Planet, Lifetime Movie Network, and Discovery Family. America's Top 250 ($89.99): This is the ultimate package, with over 290 channels. Some of the additional channels you get include STARZ Encore, The Movie Channel, and Fox Movie Channel. With any of the America's Top packages, you get free HBO, Showtime, Cinemax, and Starz for 3 months. If you want to add them to your package, they are $10 each. So this makes it $110/month for all the America's Top 250 channels plus the premium movie channels. Both DISH and DIRECTV offer features that make watching TV more fun and hassle-free. Watch on the go: Both have mobile apps that allow you to live stream or watch pre-downloaded shows on your phone. You can also use the app to schedule DVR recordings. For both, this feature is free without additional costs. DIRECTV app: The DIRECTV app allows you to instantly stream shows from your HD-DVR playlist on their laptop, tablet, or cell phone within their home Wi-Fi network. HopperGO: The HopperGo is DISH's pocket DVR. You can stream your recordings from anywhere and watch on 5 mobile devices at once. You don't need an internet connection to use this. DISH also has the DISH anywhere app, which can be installed on any mobile, tablet, or compatible network device, and stream your recorded shows. Hundreds of HD channels: It used to be that DIRECTV was king when it came to HD channels. But now, DISH has majorly stepped it up with over 200 HD channels. So for both, you will be able to watch almost all your favorite channels in high definition. Free premium channels for 3 months: Both give you free HBO, Showtime, Cinemax, and Starz for 3 months. Multiple TVs per home: Both let you hook up multiple TVs, so they're both great if you have large families or multiple housemates. DIRECTV supports up to 8 TVs, while DISH is 7. For both, you can simultaneously watch on 4 TVs at once. Large on-demand library: Both have an on-demand library that allows you to watch TV shows or movies whenever you like (as long as there's an internet connection). DIRECTV has a larger library with over 10,000 titles. But even with DISH's smaller library, you'll find something to watch, including movies even before they hit Redbox. Now, let's jump into the differences. NFL Sunday Ticket: DIRECTV has exclusive rights to the NFL Sunday Ticket. With this, you wouldn't have to miss any NFL games. This is a no brainer - if NFL is your life, then you would definitely want to go with DIRECTV. It does cost extra for the package. Better channels at lower prices: Depending on what you like to watch, you may like DIRECTV's selection more at the lower price tiers. For example, you get Animal Planet at the lowest Select Tier ($35/month). But for DISH, you'd need to get the America's Top 200 ($79.99/month) to get that channel. So think about which channels are your must-haves and see which provider offers them at a better price. 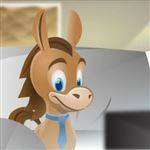 DIRECTV + Internet ($65/month): Get the DIRECTV Select package along with unlimited 50Mbps internet. Includes the monthly equipment fee for 1 DVR. This price includes $5 discount for autopay. In the 2nd year, the prices goes to $106/month. DIRECTV + Internet + Home Phone ($84.99/month): Get the DIRECTV Select package, unlimited 50Mbps internet, and digital home phone. Includes the monthly equipment fee for 1 DVR. This price includes $5 discount for autopay. In the 2nd year, the prices goes to $125.99/month. DIRECTV + AT&T Unlimited Plus: You get unlimited data usage, but the speed may start slowing after 22GB. In addition, you get HBO. Did you know: DIRECTV may partner with other internet providers (other than AT&T) to bring you their internet + TV package. One of their partners is Viasat internet (formerly known as Exede) which is a high-speed internet service provider who uses satellite technology to connect you online. Currently they offer a bundled package with DIRECTV for a cheaper promotional price for the first year of their two year contract. 2-year price guarantee. If you like knowing what you're getting into, you may prefer DISH's 2-year price guarantee. DISH's prices have gone up, but at least you know you're locked into that rate. DIRECTV only has a 1-year introductory price, after which there is a significant price hike. The 2nd year price could be subject to change at any moment. The Hopper. The Hopper 3 is the most advanced DVR on the market. It instantly skips commercials on primetime recorded shows. DISH is the only provider that offers this no-forwarding feature. That alone might be worth it to some. Note: Not everyone is eligible to receive the new Hopper 3 (or upgrade to it if you're an existing customer). The Hopper 3 offer depends on credit qualification. HopperGo: In addition to the DVR unit, DISH also has the HopperGo, which is Dish's portable media storage device with an inbuilt Wi-Fi. 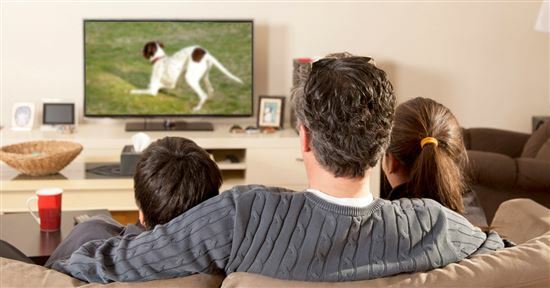 You can transfer DVR recordings from Dish's DVR unit onto the HopperGo, and stream it offline to any mobile, tablet, or network connected device. The HopperGo has 64GB of space, or 100 hours of DVR recordings, and can stream up to five devices simultaneously. More recording power. The Hopper far surpasses DIRECTV's Genie in terms of show recording capacity. It can record up to 16 different shows at once, compared to the Genie's 5. It also has an impressive hard drive capacity that can store 2,000 hours of programming (or 500 hours in HD), as compared to the Genie's capacity of 1,000 standard hours (or 200 HD hours). DishNET: Dish also offers internet services, which are included in their service called dishNET. Depending on your location, they offer satellite and/or wired internet connections. Includes optional local channels (ABC, CBS, NBC, FOX and more). Neither of the two providers are perfect. Both have disadvantages that may be the final deal breaker for you. Expensive after the first year. This is the biggest downside. The first year introductory price is great. However, the price goes up significantly in the second year, as much as double! For example, DIRECTV's Choice Pack (185+ channels) is $45/month for the first year (after autopay discount), and then jumps to $101/month after that. Quite a huge difference. Hidden regional sports fee. It's not very much, but DIRECTV does charge a regional sports fee for certain ZIP codes (up to $7.29/mo). You don't get a choice in this (whether you watch sports or not). So if you don't watch any sports, you'd be paying a few extra bucks per month for something you don't even enjoy. DISH, on the other hand, doesn't charge a regional sports fee. Monthly DVR cost: DISH also charges $15 per month for the DVR service fee. But there is usually a $5 automatically applied Hopper discount, which bring it down to $10/month. On the other hand, DIRECTV has no DVR fee and includes 3 additional receivers at no extra cost. More for Hopper 3: The package price only includes the Hopper Duo, which supports 2 TVS (when paired with a Joey receiver). It can store up to 125 hours of HD recording. However, if you want to upgrade to the Hopper 3, that's an extra $5/mo. What are receivers? Receivers convert the satellite signal to programs and channels on your TV. DIRECTV and DISH have many types of receivers. However, the popular ones are their HD-DVR receivers. The receiver also acts as a DVR, and can record your favorite programs. To watch programs in HD, the receiver must be able to decode HD signals. That's why some models are HD-DVR. This means they can convert HD signals, as well as record them. DIRECTV's HD-DVR receiver is the Genie. DISH's HD-DVR receiver is the Hopper 3. Both companies provide the first receiver free of charge. The first one will be your main receiver. However, you'll need more receivers if you want to connect more than one TV. These receivers have a monthly equipment fee. The receivers for the TVs are different from the main HD-DVR receiver. They don't convert satellite signals. Instead, they connect with the main HD-DVR receiver to transmit shows and programs. For DIRECTV, the TV receivers are called 'Genie Minis'. Dish has many receivers, but the standard ones are called 'Joeys'. The 'Genie Minis' cost an extra $7.00/month. A Genie HD-DVR can connect up to eight Minis. However, only three Minis can be active at the same time. For DISH, it depends on the type of receiver you have. Like DIRECTV, the main Hopper 3 unit itself is free. However, the Joey will cost $7.00/month each. If you get the Super Joey, it costs $10/month. The Super Joey is pricier, because you get more tuners. With more tuners, you can record more shows at the same time. Bear in mind that DISH also charges a $12/month whole-home-DVR fee. 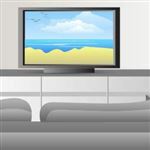 The whole-home DVR is a feature that lets you watch a recorded show from any room in your home. For DISH, if you want to upgrade your receivers, there is an upgrade fee. However, the amount will depend on your account at the time. You have the option of buying it upfront or paying a monthly leasing fee. For DIRECTV, there's a $99 upgrade fee when you upgrade to wireless receivers. However, this may also be affected by the current promotions at the time. Before getting your satellite TV service, you must set an appointment. You'll need to call either DIRECTV or DISH to set a time and date. They then send a technician to install your service. A good thing about DISH is that they have the My Tech app. With it, you can track where your technician is. You don't have to wait at home pointlessly. DISH promises that their technician will arrive within a 75-minute window. Both companies will send a technician for installation. The first step is to install a satellite dish facing the southern sky. Because it needs a clear view of the sky, they'll install it at an elevated position. Usually it's the roof or balcony. After that, they connect the dish to your receiver. They might need to drill a hole for the wiring. They then test the system to make sure it's working. If everything's okay, they'll activate your service. The final step is teaching you how to operate your new satellite TV. Before you install your service, get written consent from the landlord or homeowners association. This will prevent complications later on. The FCC forbids local governments and homeowners association from stopping you from getting a satellite TV. DIRECTV wins hands down as the better sports provider, with its exclusive NFL Sunday Ticket. Even if you don't get it, DIRECTV has great sports programming, such as regional games and matches that aren't available from other providers. For the die-hard sports fans, it'll be a no brainer to go with DIRECTV. If you watch a lot of normal TV programming, you may like DISH's DVR more. The Hopper far outshines the Genie in terms of recording capacity and technology. In conclusion: DIRECTV is better for super sports fanatics. DISH is better for casual TV watchers. Leave a comment about DIRECTV vs DISH: Which Service is Better? Share on Facebook "DIRECTV vs DISH"